KRONO Straps is an independent company and NOT affiliated with Tudor or any other watch brand company. Tudor watches have been created by founder and owner of Rolex watches in 1926. The goal was to offer an affordable alternative to the Rolex brand. Between the 1960s and 1980s, Tudor produced many watches for professional divers and the military. The Krono Straps we produce for Tudor are available for models with 22mm or 24mm lug size. 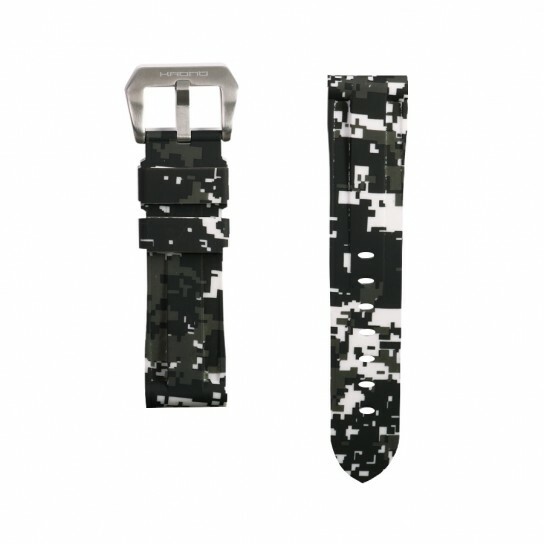 The high quality rubber we use, some with camouflage design offer a very nice alternative, lighter and more comfortable than the original steel bracelet.